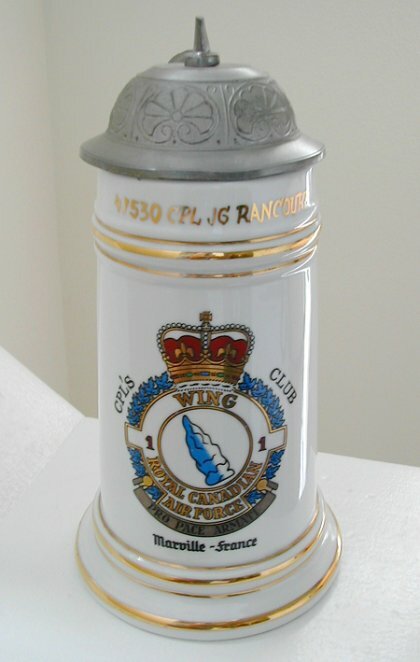 Cpls Club beer stein - May 1967. 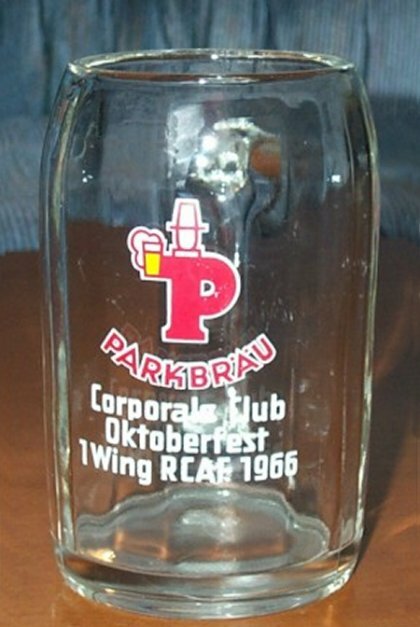 Cpls Club Oktoberfest beer mug - October 1966. 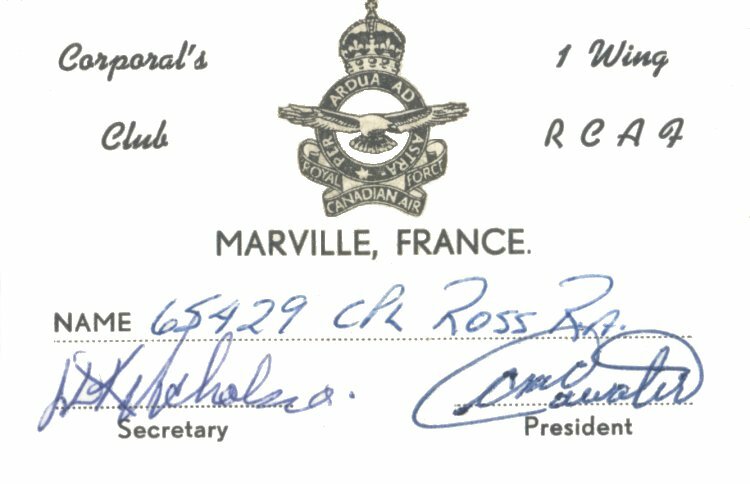 Corporal's Club membership card - October 1965. 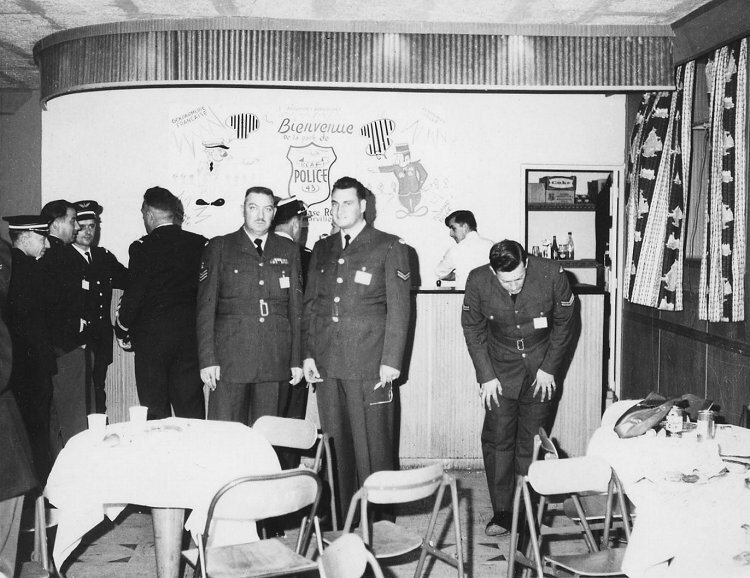 Reception organized by RCAF AFP and French Gendarmes at Marville - October 1961. They received police and customs representatives from France, Luxembourg and Belgium. FS Hunt & Cpl Bendron. 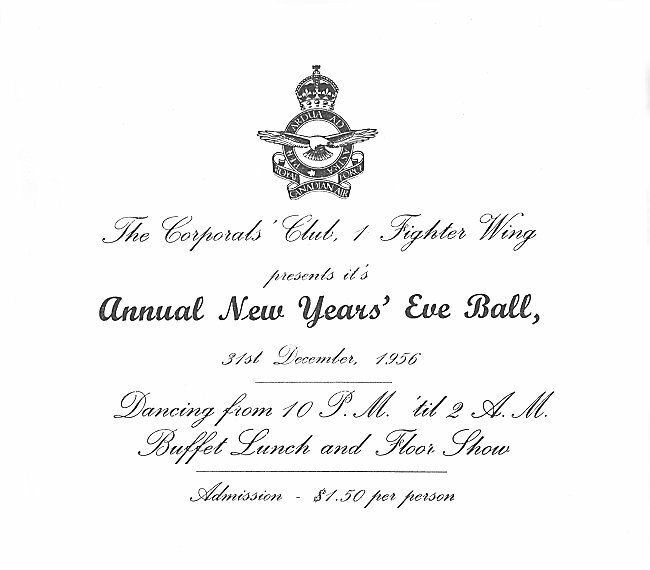 Ticket to the Annual New Year's Eve Ball at the Corporal's Club - 31 December 1956. Inside of the Annual New Year's Eve Ball ticket - 31 December 1956. Back of the Annual New Year's Eve Ball ticket - 31 December 1956. 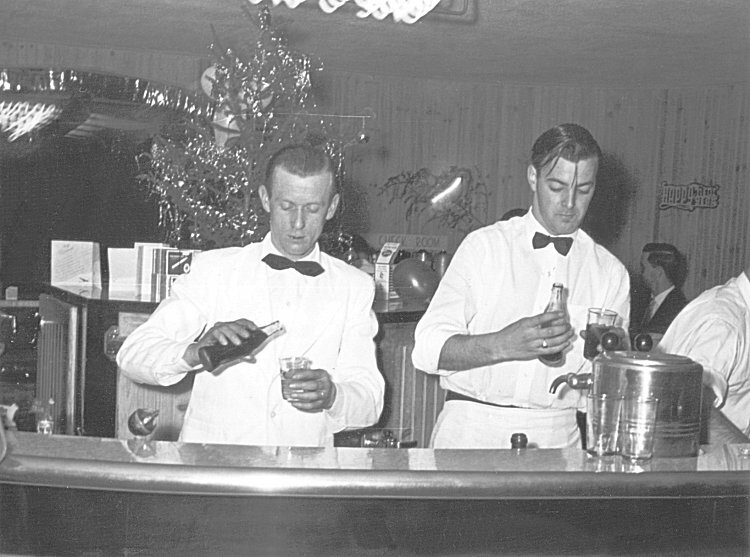 Bar tenders hard at work - 31 December 1956. (L-R) - Gene ?, unknown. 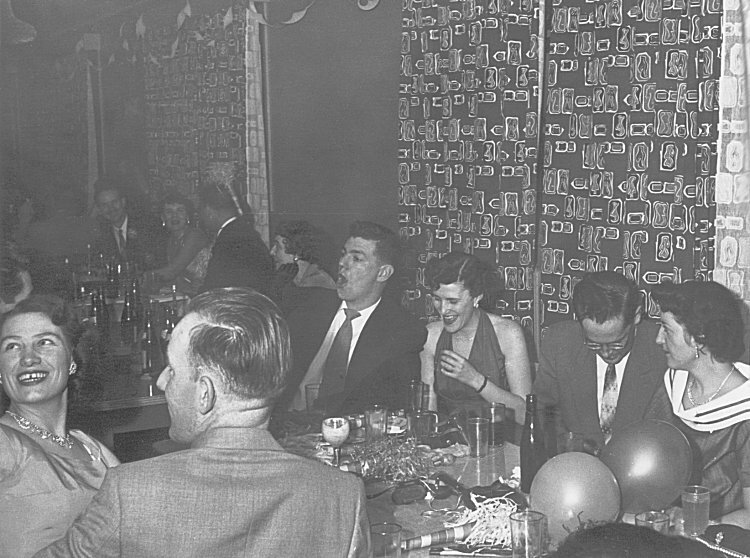 Attendees at the New Year's Eve Ball - 31 December 1956. (L-R) - Louisa, Cal Shermerhorn (back to camera), Ted Barton, wife Cassie ?, "Mac" McTavish & wife. 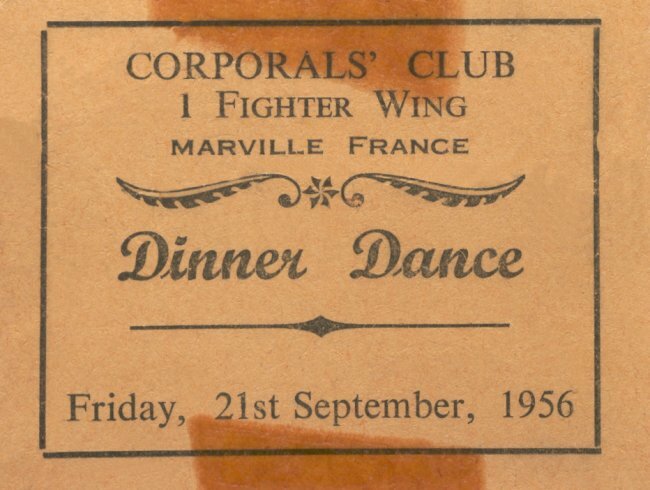 Ticket for a Dinner-Dance at the Cpls Club - 21 September 1956. 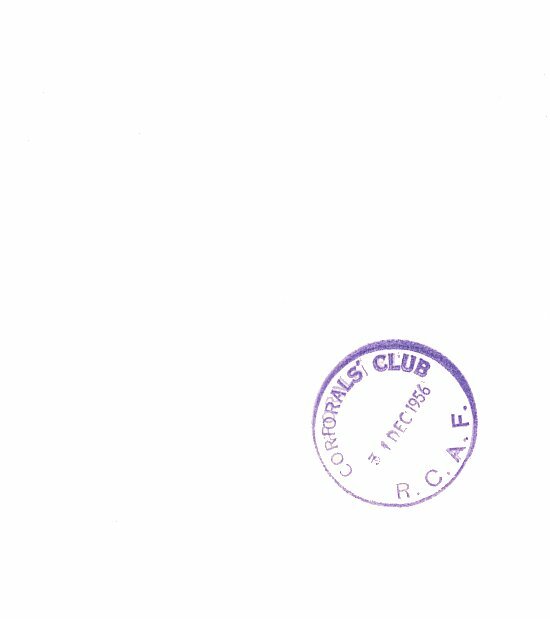 Assorted photos of the opening of the new Cpls Club - September 1956. 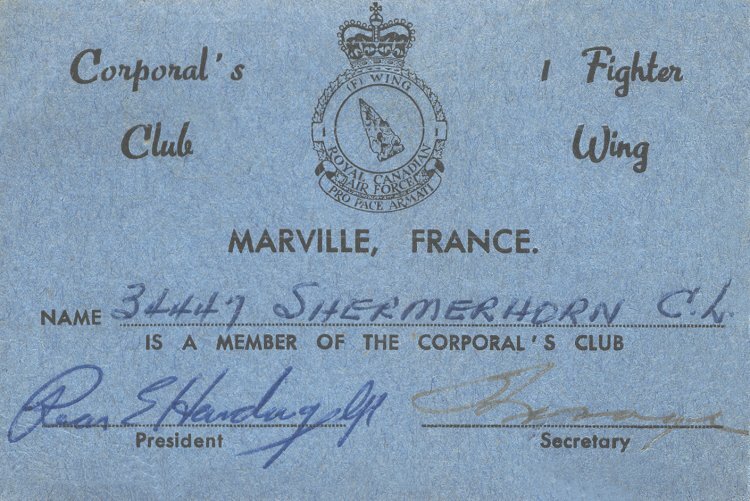 Corporal's Club membership card - June 1955.